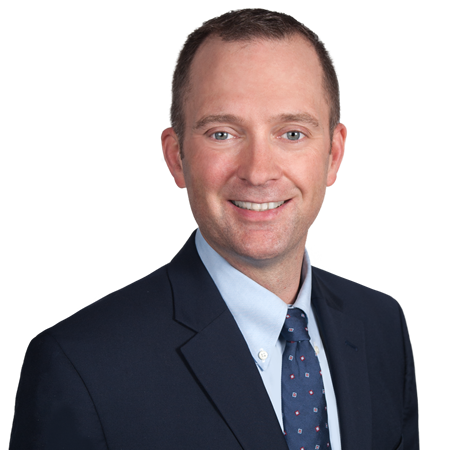 Bryan has extensive trial experience representing defense-side clients in Connecticut State Courts, in matters ranging from routine property damage claims to traumatic brain injuries. His military training combined with his legal education and experience gives him a unique perspective and advantage in the courtroom. Bryan is a Veteran of Operation Iraqi Freedom, serving throughout Anbar Province, Iraq, as a platoon leader and Company Commander in the 325th Military Intelligence Battalion. He is member of Post 935 of the Veterans of Foreign Wars. Cianciolo v. Musumano: Defendant’s verdict, representing a landlord who was being sued by a pizza deliveryman. Medina v. Peerless Ins. Co.
Medina v. Peerless Ins. Co.: Prevailed on a motion to strike extra-contractual claims pled against Peerless Insurance Company and then successfully tried the case to verdict on the remaining claims. Warren Equities, Inc. Employee Benefit Plan v. Safeco Ins. Co. of Illinois: Obtained summary judgment on behalf of Safeco Insurance Company. The plaintiff alleged that Safeco committed conversion of settlement funds because the plaintiff was the true owner of those funds.